What’s the first thing you usually do when you enter a room of folks with some familiar and unfamiliar faces—you introduce yourself, right? So let’s unravel “the introduction” to dive into the Connected Learning principle of equity. The theme this week is Unmaking Introductions. Let’s consider the ways we name, present, and represent ourselves and the boundaries or memberships those introductions create. 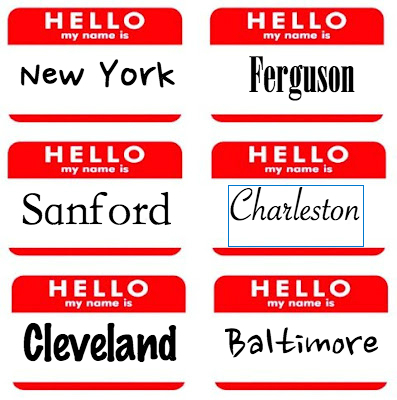 How do we name ourselves in different contexts—personally? professionally? online? What happens when those contexts converge? How might we take apart our introductions to answer some of these questions? 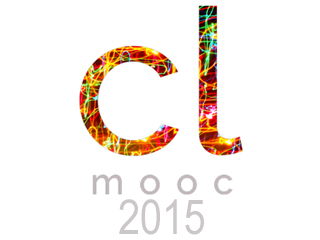 What will happen when we put them back together again to share them in CLMOOC? We see our invitations as already marking particular boundaries and relations, setting us up as hosts or guests, and these are boundaries we’d like to intentionally shatter, unmake, and remake in accordance with the Connected Learning principle of equity and full participation. Could shattering the parameters of our introductions help us to move more quickly beyond “you” and “us” to a space where equity and diversity are hallmarks of a shared “we”? What could it look like, sound like, be like to shatter an introduction? One way we are thinking of this is through “image shattering.” You can Google image shattering and see some cool images pop-up, but it’s just two words we smooshed together. So if you don’t know what we are talking about, make it up along with us! One thing that comes to mind for us is pieces of a picture breaking about and moving around and so creating a new image. Like a kaleidescope. Or like that cool slide transition in PowerPoint (so retro!). Or like Stephanie’s daughter Violet smashing an egg! Visually, physically, auditorily shattering something might get us to look beyond initial or even long held impressions to see things in a new way. And as long as we are screwing around with “the introduction” here, who says that you have to introduce yourself? Who says you can’t introduce your colleague, your cat, your thoughts on learning or making or moocing or on the corporate testing agenda? We figure that if you do unravel an introduction to one of those, we’ll all learn some valuable things about who “you” are anyway. As Ann Imbrie, a literary critic, says “Words Become Us.” Kind of like “you are what you eat.” You are what you write? You are what you make? Living our lives, to Imbrie, means constructing them ourselves one borrowed word at a time, or we would add one borrowed make, intersecting with our histories and revised in our experiences. “Identity does not come ready made . . . Identity comes through the encouraging, exasperating, consoling, frightening, but finally willful sense making, self-making act of writing [and making]” (Imbrie, 1999). Photo Cutting (like with scissors) Grab scissors, cut pictures up, move pieces around, see what happens, take a new picture (or video) of your cut up picture. Photo Cutting with stop motion: Add a cool stop motion app to the play described above. We like iMotion for IOS and PicPac for Android. Mad-Libs: Yes! 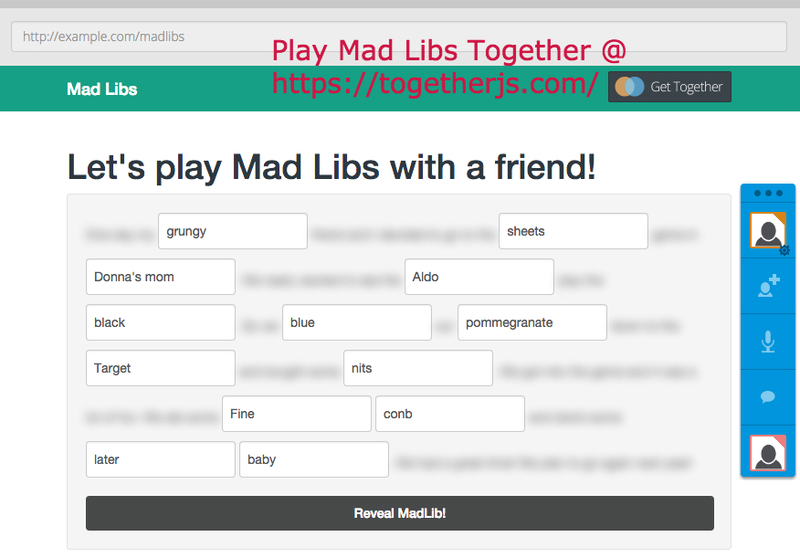 Make your own mad libs. Maybe use an existing text and take out words to be replaced!? Image Write Overs: See what happens when you layer writing over your image. You might try an app/website like ThingLink or Pic Collage. Image Manipulation: Try Pixlr or Kaleidolens or another app to change your images. Mosaic: Smash or take apart stuff (stuff that is yours :0) and reconfigure it, mosaic-like, into something new. Go Gallagher with a watermelon. Take apart an old clock. Use broken dishes to make a traditional mosaic. Mozilla Webmaker Tools: Try X-ray Goggles for disrupting current web content or Popcorn for interrupting video content. We’d love to have your share your work. You can do that here by posting an example, in our CLMOOC Community, on Twitter #clmooc, or on your own blog or other space. my un introduction for Maker Cycle 1- this make uses photos, short video clips. Using imotion for some stop motion work it is combined using iMovie. I created an unintroduction video with name tags from conferences. 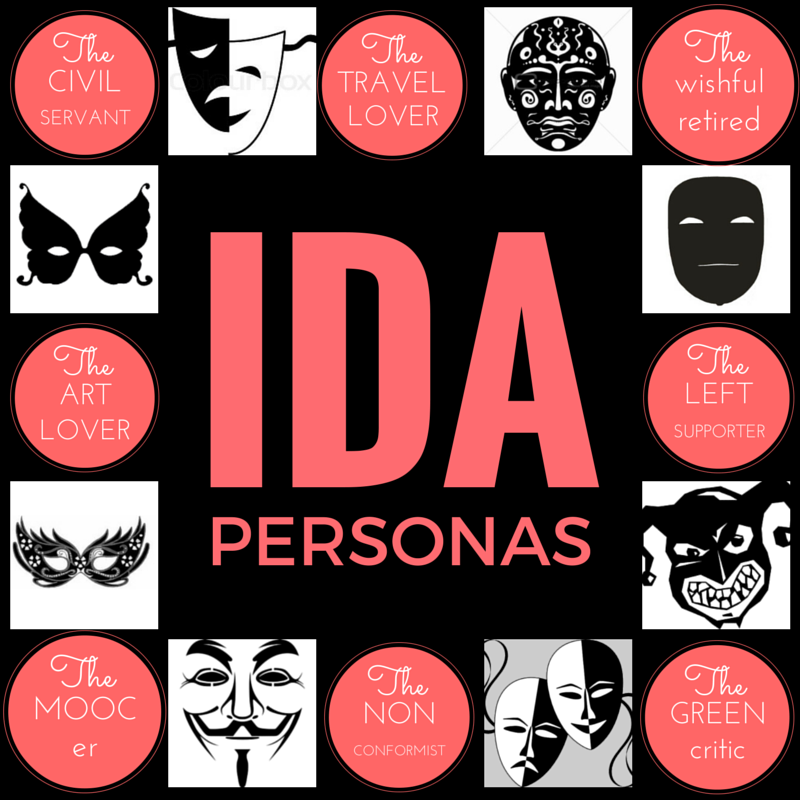 About multiple personas, the roles and masks we carry in different contexts. This is my Inside Out un-introduction and my F5F combined into one blog post. Disassembled four of my separate identities to combine as one using photos and an exacto. Made using MS Paint for the “INTERSECTIONAL” image to use as shape. The rest made using tagxedo.com. “Unmaking” me through my twitter TL of mostly RTs and some of my own, from the last day or so. I attempted several times to create an unmade intro and was not entirely satisfied with any version so I collected them all here. In unmaking an introduction, I chose a photograph that I took of the frozen surface of Amber Lake. Scroll over the bubbles to see my memories, my work, my play on this blue marble that circles the sun. I “elementized” my name using http://www.lmntology.com/. This work by Lacy Manship and Stephanie West-Puckett is licensed under a Creative Commons Attribution 4.0 International License.